Tin Tin An Kanker Ha’y Dhiwbaw Wrek. 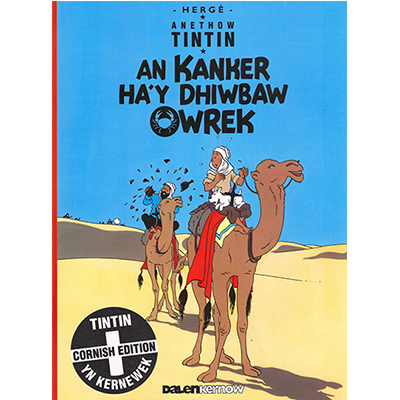 The second Tin Tin book published in Cornish. The Crab with the Golden Claws. A4 size. Full colour cartoon format.